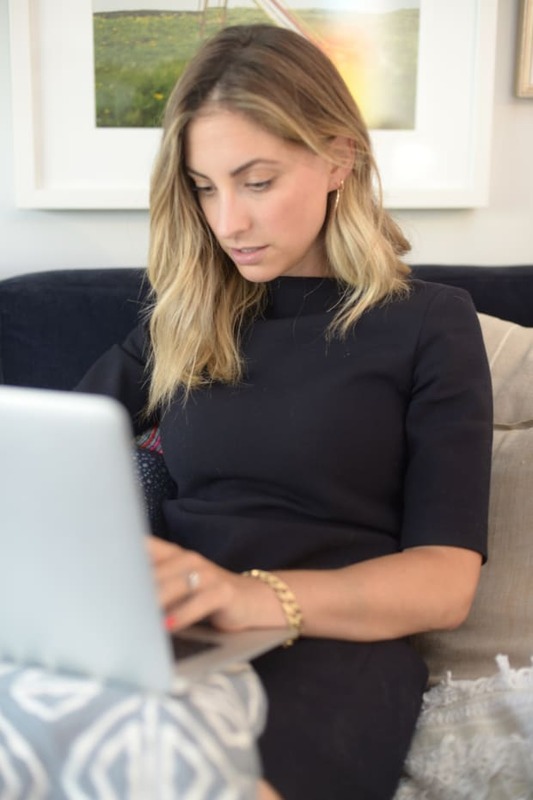 What a typical weekend looks like for our Editorial Director. My weekends are usually a mix of the following: exploring new destinations in L.A. (brunch, museum, art gallery), mild exercise (hiking, walking, shopping—which counts as mild exercise), chilling (straight sitting on the couch watching a new Netflix series, or hanging out with friends and drinks), and house related to-dos (organizing, cleaning, laundry, errands, etc.). The weekend I&apos;d pre-picked to track happened to be the first real weekend I was spending at home in my new neighborhood. I&apos;d had a busy summer with weekend travel; had moved; and my dad had been in town for two weeks. After so much flux, it was nice to wake up in my own bed, settled in, and free to explore the streets where I now live. Keep reading to see what I did! 1:00 P.M. - It was a summer Friday, so I had an open afternoon without anywhere to be, which felt incredible. I decided to check out a cute-looking store I&apos;d driven past several times recently and been wanting to visit. 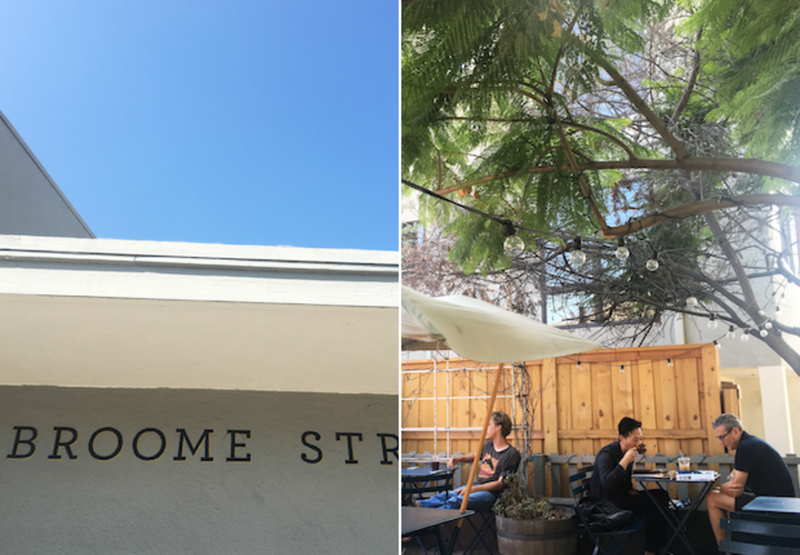 I was on the hunt for a wood dish-drying rack (my new place doesn&apos;t have a dishwasher), and the sign, "Broome Street General Store," lead me to believe it was the kind of place that would sell one. (I&apos;m also a sucker for a general store). 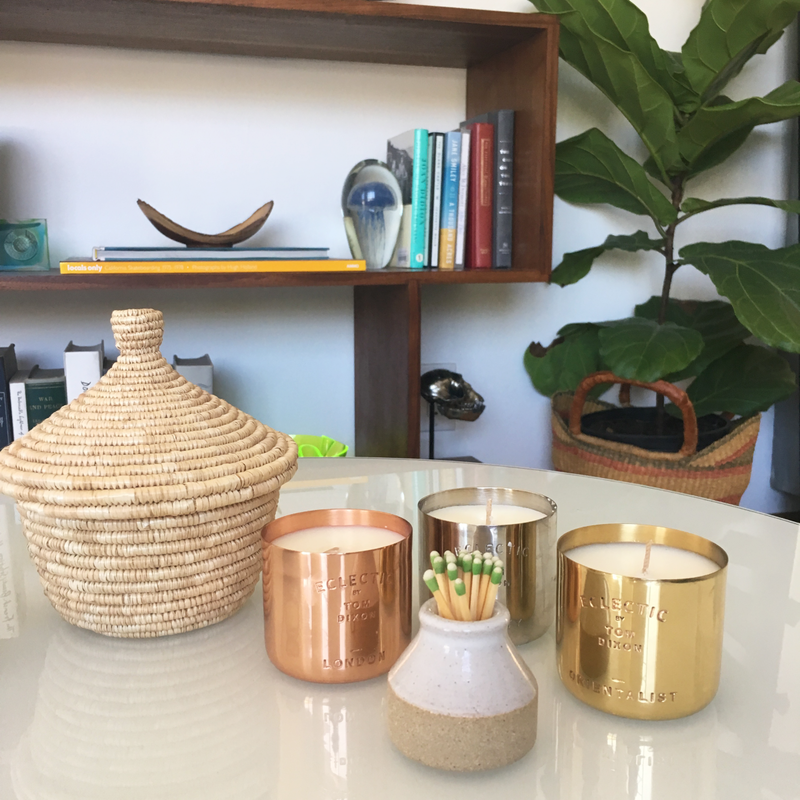 As it turned out, I accidentally walked into the general store&apos;s sister store (a more fashion & decor-focused outpost across the street), where I fell for almost everything. I ended up chatting with the husband-wife duo who own both businesses for over an hour. I think I must be drawn to husband-wife duos who combine love and work, successfully managing the intricacies of both marriage and entrepreneurship. 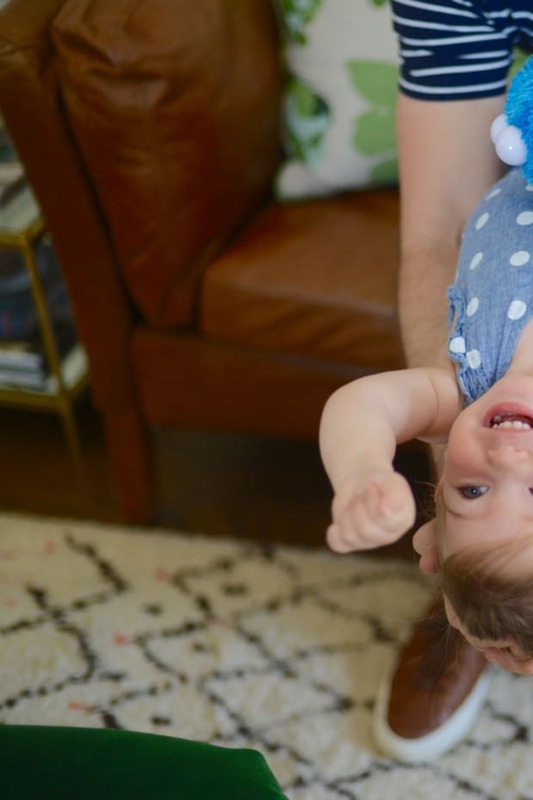 (see: Emily and Geoffrey). The couple, Sofie and Peter, were adorable and stylish, and pretty much do it all. When I eventually went across the street to the general store-meets-cafe, Peter was behind the counter casually making drinks at their espresso bar. So they&apos;re baristas in addition to everything else. I went home with a candle set, mini basket, match striker, two espresso mugs, and a t-shirt. Shopping local and supporting small businesses - all for it. 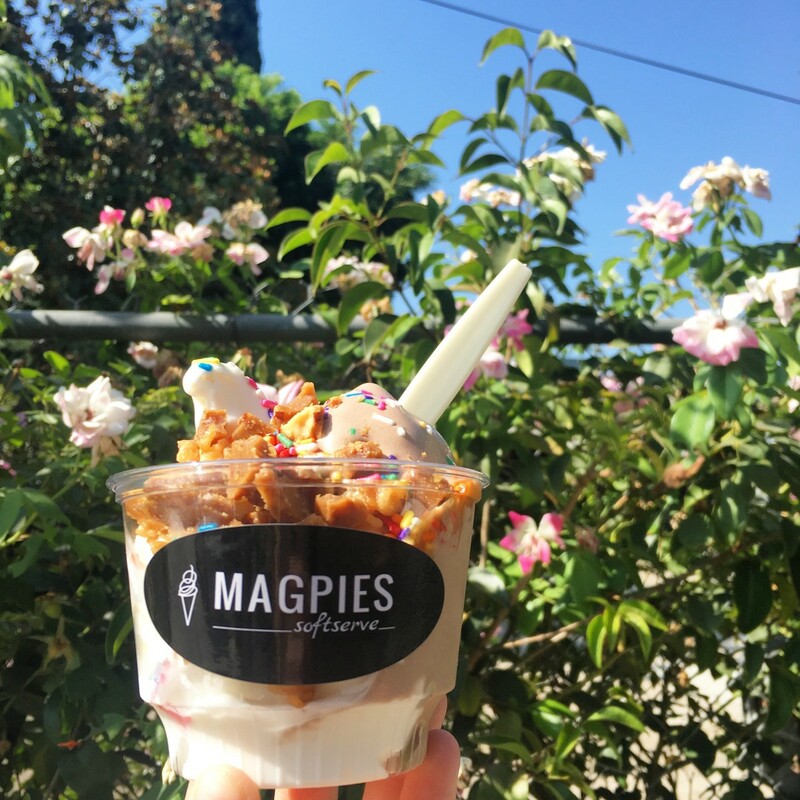 3:00 PM - The drive back was the perfect opportunity for me to try Magpies soft serve, which I pass on the way home. I got malted milk chocolate with sweet cream vanilla, along with toffee rice krispies, rainbow sprinkles, and caramel sauce on top. Picked up my dry cleaning next door. 4:00 - 8:00 PM - The rest of the afternoon was a low-key hangout sesh with myself. I arranged my new purchases, scrolled through Instagram on the floor of my living room for way too long, and avoided cooking dinner. 8:00 PM - I decided it was the perfect time to start Stranger Things on Netflix. Since I didn&apos;t feel like cooking I heated up a frozen Trader Joe&apos;s burrito and ate it while watching three episodes of the entertaining show. Dipped into some Trader Joe&apos;s vanilla/chocolate/caramel swirl ice cream I had in the freezer, and was asleep by 11. 8:20 AM - I normally sleep in until at least 9 on the weekends, but was up bright and early this morning. 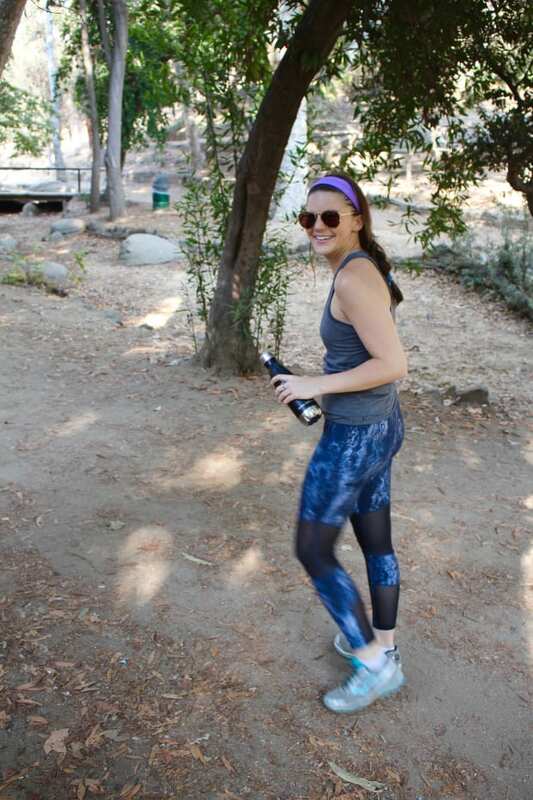 My friend Kat and I had made plans to get brunch, but brunch usually doesn&apos;t materialize until 11 or 12, so I decided to walk the Silver Lake reservoir by myself in the mean time. Shockingly, I had a text from Kat who was up by strange chance at 8 AM too (you don&apos;t know how weird this is for both of us), so I asked if she wanted to get in on the walk. She and her boyfriend Zac swung by my place at 9 and we walked the reservoir for over an hour. 9:00 AM - Full loop of the Silver Lake Reservoir and then some. 11:00 AM - By the time our walk was over we were all starving and so ready to reward ourselves with a hearty meal + drinks. 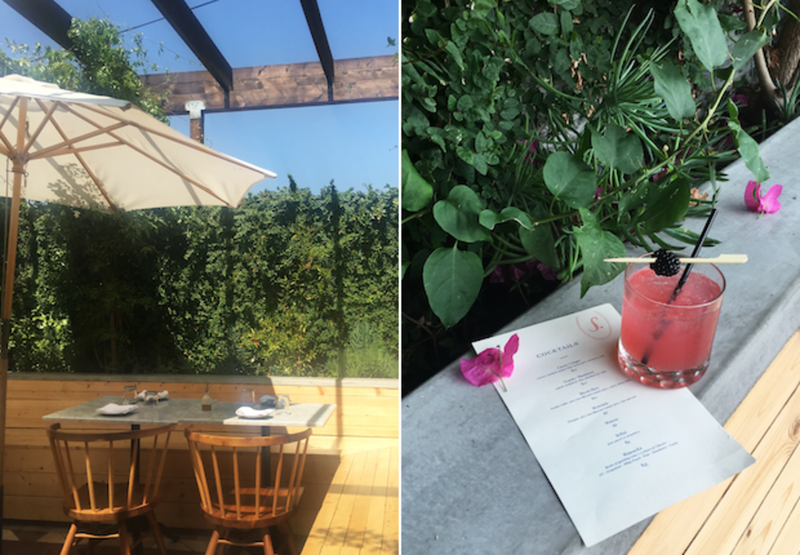 I suggested Sawyer, a new spot in Silver Lake that I&apos;d heard has a great outdoor patio in the back. We got avocado toast for the table, and I got a lobster roll that was great. The best thing on the table was Zac&apos;s chicken and waffles. 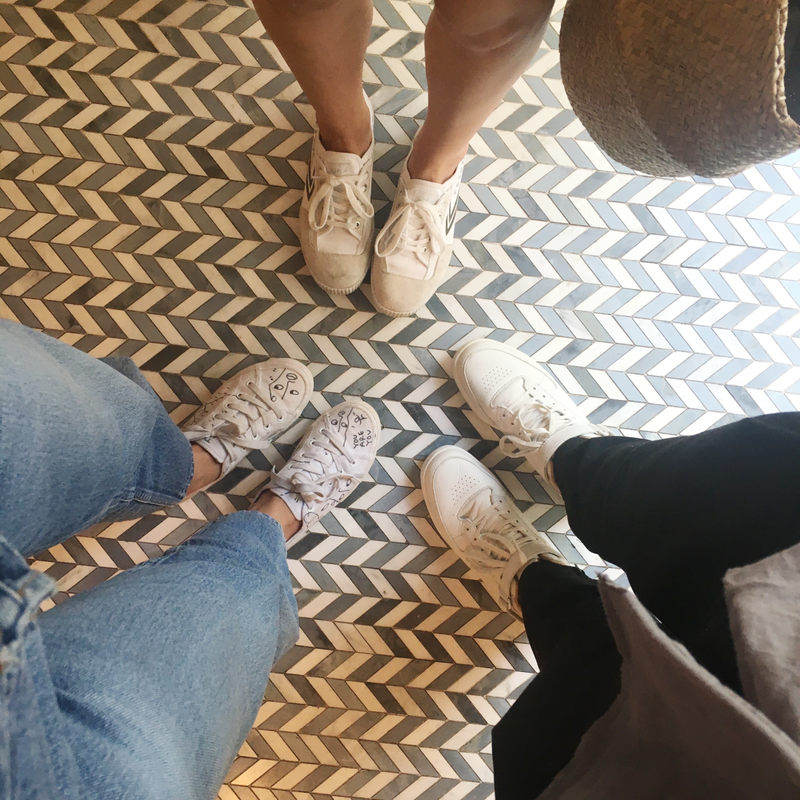 We were all three wearing white sneakers by chance, so I had to snap an overhead pic on Sawyer&apos;s beautiful tile on the way out. 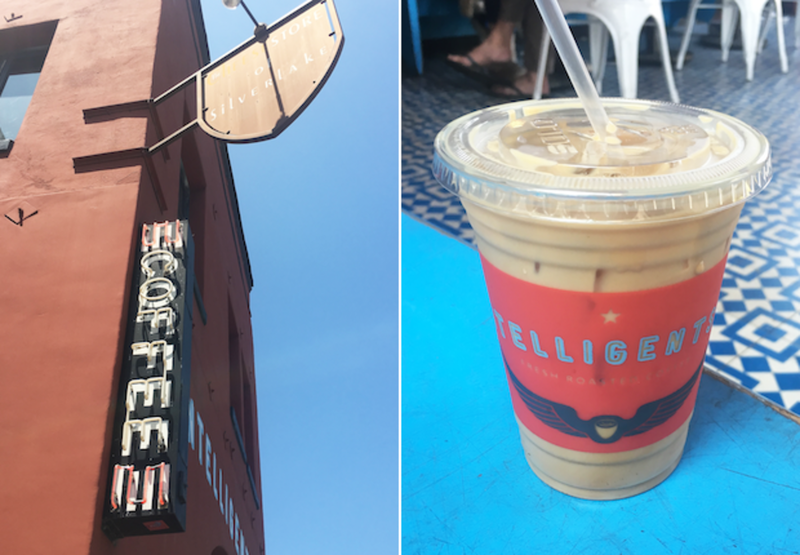 1:00 PM - After Kat and Zac departed, I walked to my neighborhood coffee spot, Intelligentsia. I go multiple mornings a week so I was gunning for them to know my order by heart, but alas, today wasn&apos;t the day. I had a skip in my step though because there wasn&apos;t a soul in line - I walked right up to the counter - which never happens. 1:30 PM - I decided to take advantage of the Silver Lake Farmers&apos; Market that was across the street. 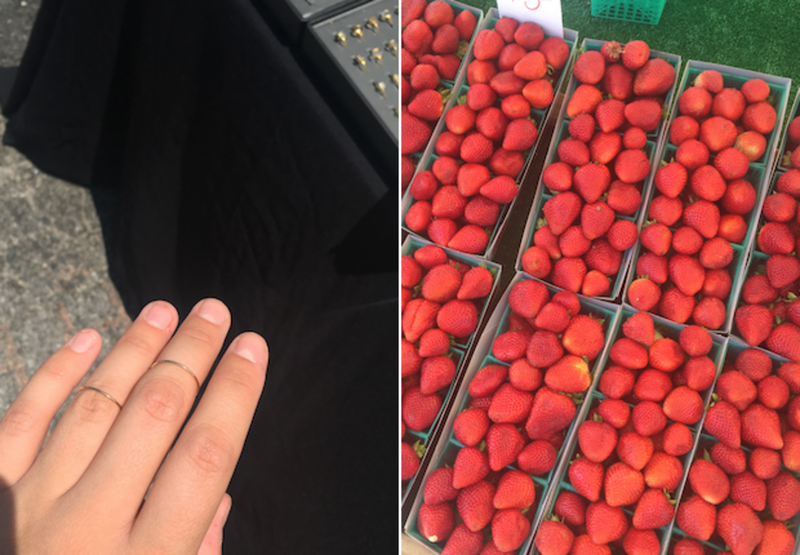 I&apos;m determined to be a regular farmers&apos; market goer and this was my inaugural visit as someone who lives in the neighborhood. Of course the first thing I bought was three simple gold rings for $30. They&apos;ll probably turn my fingers green but I&apos;ll enjoy them until they do. 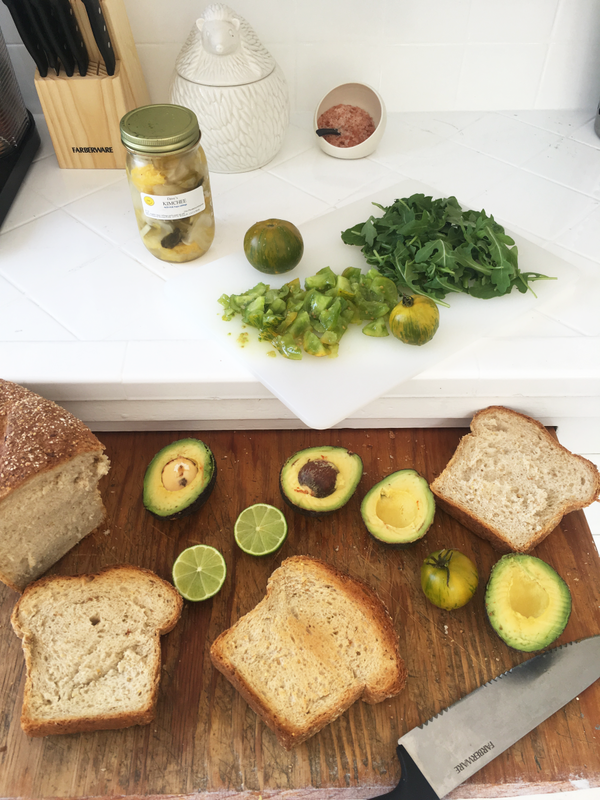 Had avocado toast on my mind from brunch so went home with a loaf of bread, two limes, three avocados, green heirloom tomatoes, arugula, and my special touch: a jar of kimchi. 2:30 PM - Afterwards, I chilled at home for about an hour until I called my boyfriend to see if he wanted to go to the pool with me. We have a rooftop pool at our office that Emily and Geoffrey kindly allow us open access to, and with how hot the weather&apos;s been in L.A., it&apos;s a cherished and well-used amenity. 3:30 - 6:30 PM - Pool time sublime. 6:30 PM - My boyfriend asked if we wanted to walk around the Echo Park Lake after the pool, which sounded so lovely. I&apos;d never actually stepped foot in the park; only ever driven by. 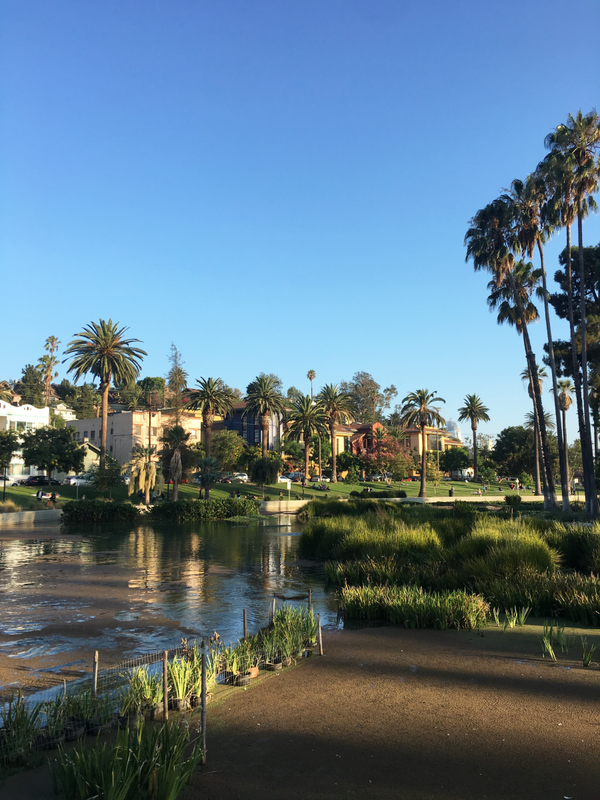 I thought it was funny/weird that I walked two flat paths surrounding &apos;bodies of water&apos; in one day - both the Silver Lake Reservoir and Echo Park Lake. Not usually the case, but it was how this pleasant day turned out. 7:30 PM - We had grand plans to cook halibut, but by the time we left the lake we weren&apos;t interested in grocery shopping. He had turkey burgers at home, so he made us turkey burgers while I watched the Olympics on the projector he has in his room. Kat and I were going to try to attend an Indie Pop dance party we&apos;d seen a sign for in Silver Lake on the walk, but by 9 PM we were both too tired to dance so we happily opted out of our plans. Which reminds me of this hilarious meme that is too true. 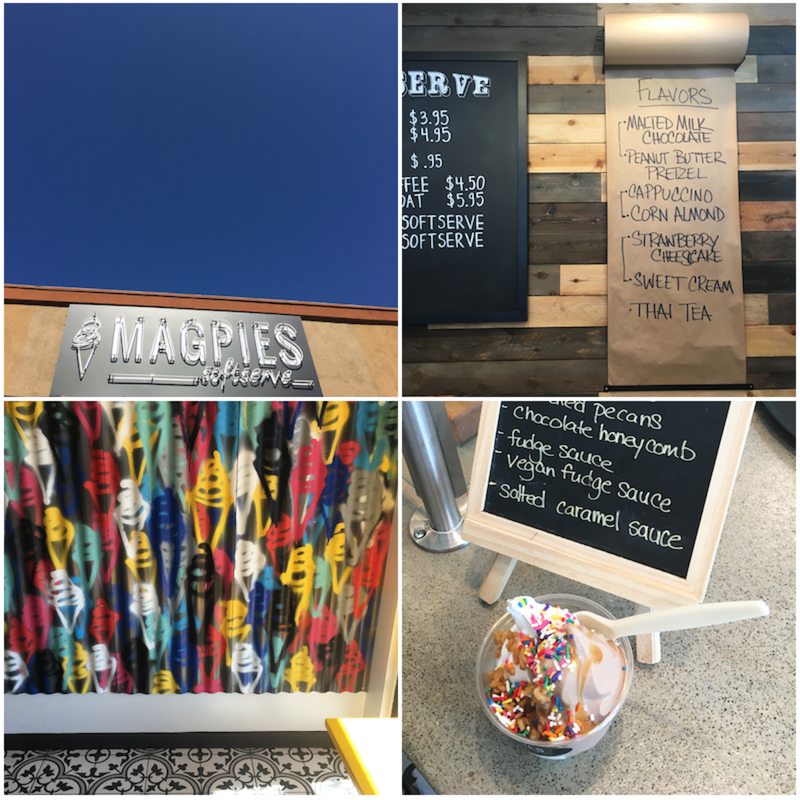 9:30 PM - On the way home, I stopped at Magpies for a second time. 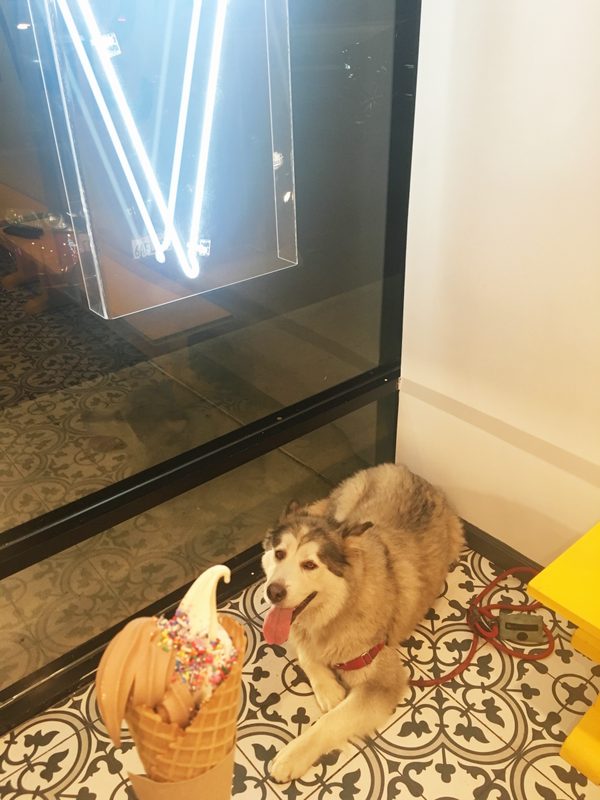 This time I went more classic and got the same flavors but in a cone with only rainbow sprinkles. 10:00 PM - Was super tired but decided to do a face mask because I&apos;d been in the sun for several hours and my skin was dry. 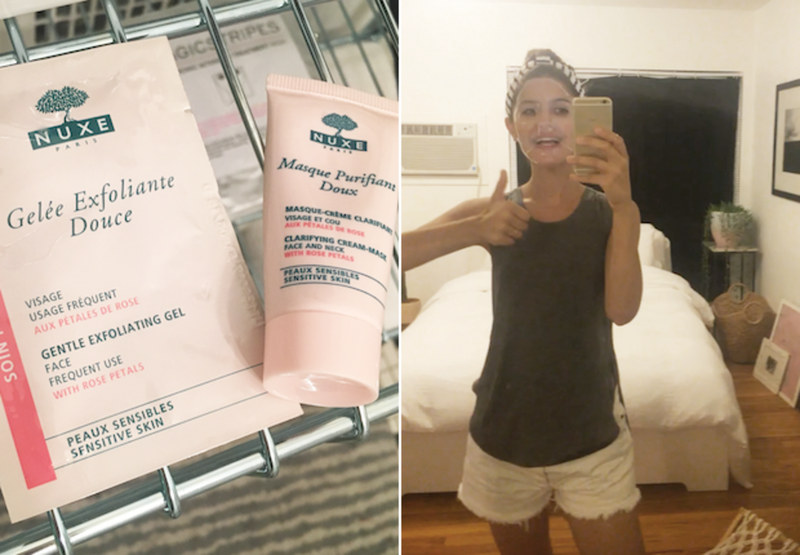 The cute couple at the general store had sent me home with some samples from a popular French pharmacy brand, Nuxe, so I exfoliated, then did the moisture mask, and then did a hyaluronic mask. Asleep by 11:30. 10:00 AM - Got up and made avocado toast while listening to a TED Talk podcast as I prepared it. I chose one called "The Shift of Time," trying to have a nice and educational Sunday morning, and it was comically depressing. 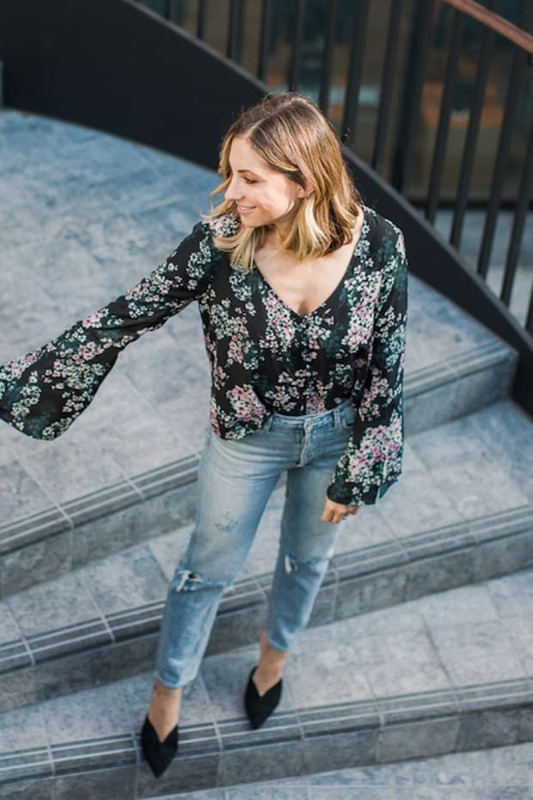 It was like, "there is no such thing as the present - it&apos;s an imagined wall between past and future we tell ourselves exists to feel better, but really there&apos;s only the past and the future and nothing in between." I was practically laughing as I sliced avocados and tried to avoid an existential crisis/un-hear what I&apos;d just heard. 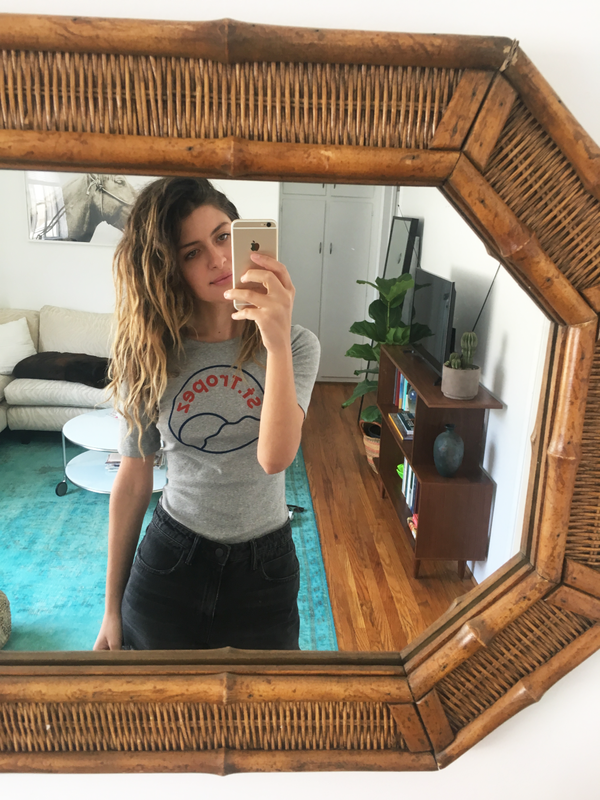 Sunday errand outfit: the new t-shirt I&apos;d purchased the day before, available here, and pool hair! 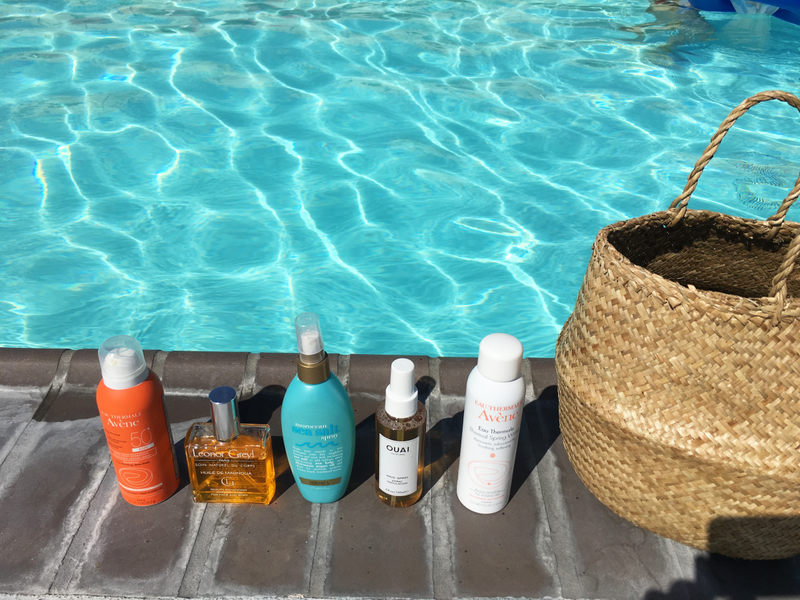 My natural texture looks best when I&apos;ve dipped into water (pool, ocean, or shower) without shampooing. 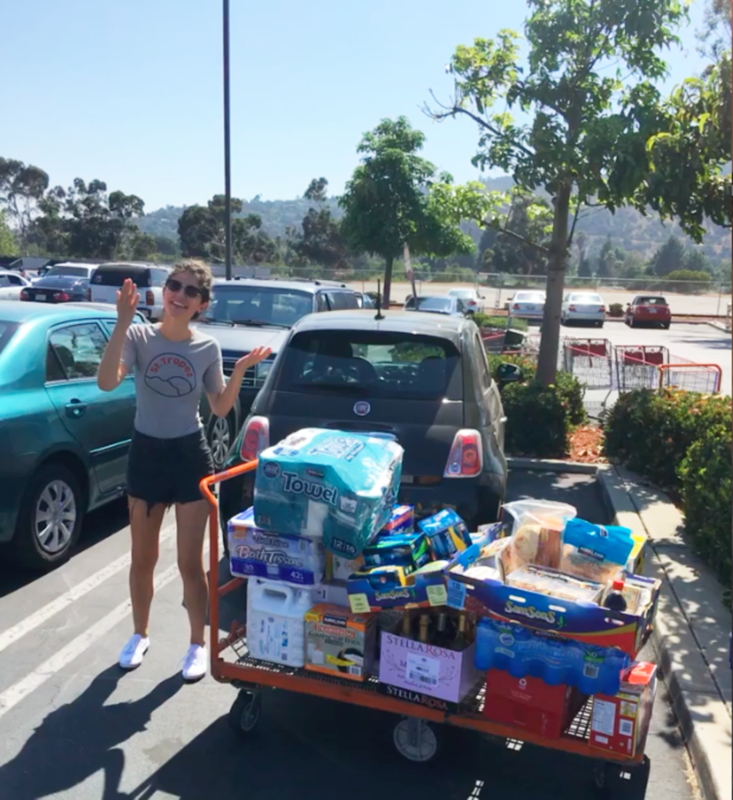 12:00 PM - I decided it was time for me to take a trip to Costco because I simply waste too much money buying things in convenient quantities. 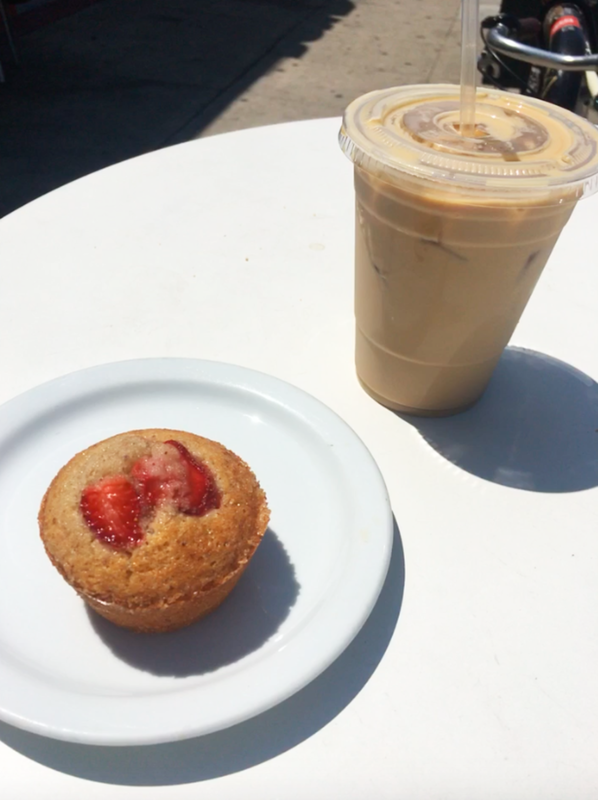 On the way to Costco I stopped at Proof in Atwater Village for an iced latte. I couldn&apos;t resist purchasing a strawberry financier to supplement my avo toast. I can honestly say it was the best baked good I&apos;ve had in recent memory. It was fresh and warm and bursting with brown-butter-sugar-almondflour. 1:00 PM - 4:00 PM (Yep). - I was at Costco for three hours because I first had to wait in line to open a membership. I brought my headphones and was determined to remain zen throughout the ordeal. Bringing my headphones was the best decision I&apos;ve made in a long time. I listened to my music the whole time I shopped (a single remix on repeat, in fact), dancing happily through the consumer chaos. I needed a ton of stuff for my new place, like paper goods, bulk alcohol, trash cans, a vacuum, etc. On your headphones you can also catch up on Snapchat while waiting in the checkout line. 4:00 PM - 8:00 PM - Unloaded the car (it legit took 16 trips), unloaded the groceries, and did some general house organizing. 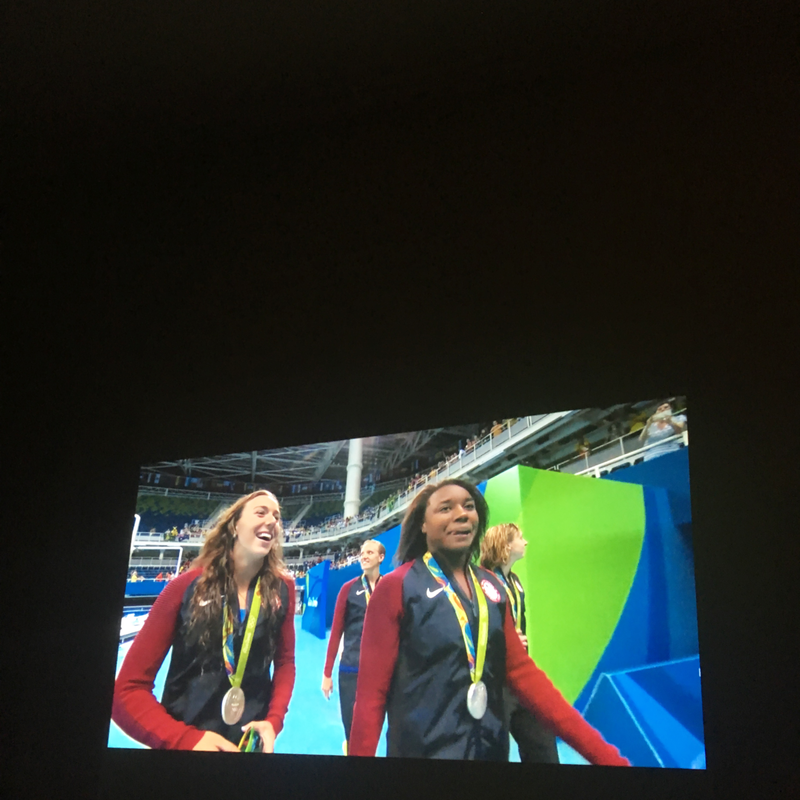 8:00 PM - Went to my boyfriend&apos;s for dinner and to watch The Olympics. He made cod, veggies, and rice and we cracked open a bottle of red wine I&apos;d gotten at Costco. End Weekend! Saturday was really the star of my weekend - I did so much in a single day and realize that&apos;s what your days can be like when you wake up at 8 AM. Note to self: do that more often.